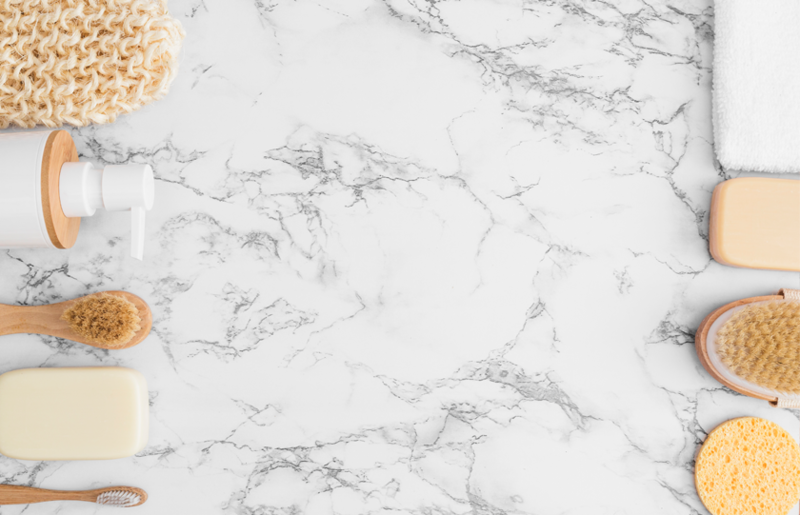 When you choose natural stone for your kitchen, you are selecting a product that can last longer than your home, with minimal maintenance requirements. 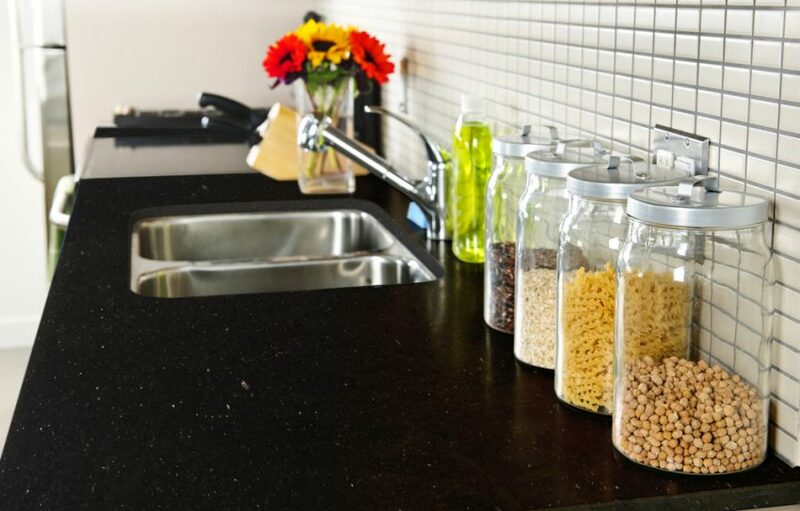 Granite, one of the hardest stones in nature, is a good choice for a kitchen countertops and islands, thanks to its durability and heat resistance. This natural stone can meet the demands of the busiest kitchen without showing signs of wear. No two slabs of granite are alike. The stone’s unique pattern and elegance is another reason why granite countertops are a popular choice. When you plan a new bathroom or a renovation, the materials can make all the difference. The stone’s unique veining combined with spectacular colours makes it a real focal point of any room where it’s installed. By choosing marble for this room, you can enhance its total look. The amazing texture of marble can totally transform a space. Which is the easiest way to achieve this? A white marble basin merged with timber or a wall clad in marble will add a modern look to your bathroom. Your marble bathroom will look incredible for many years! 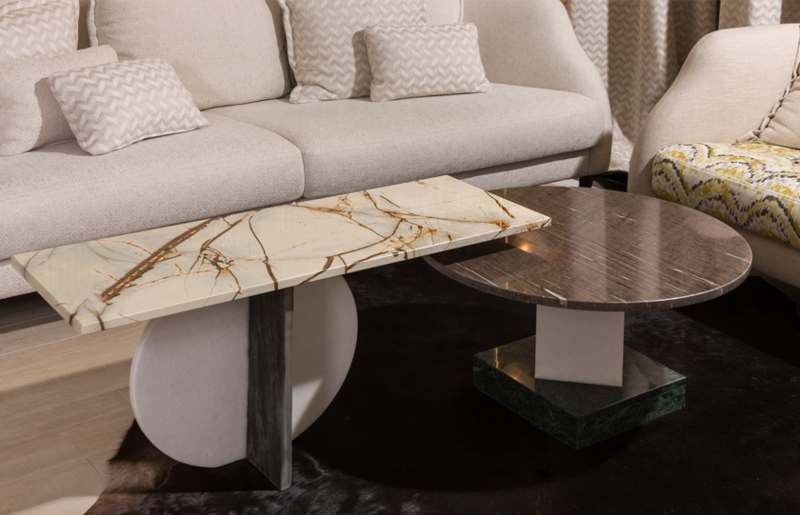 What’s more amazing in a living room than a quartzite wall or table? This metamorphic rock is formed entirely of grains of quartz, usually of a whitish color. Its hardness and resilience lend it to being used in building and decoration. The incredible textures and colors of this natural stone transmit an elegant and bright look for modern and rustic projects in living rooms. 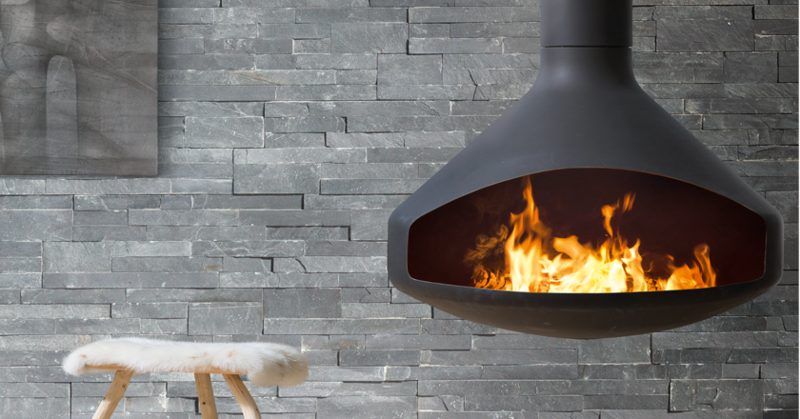 For example, a quartzite fireplace will be the guest starring in your living room. 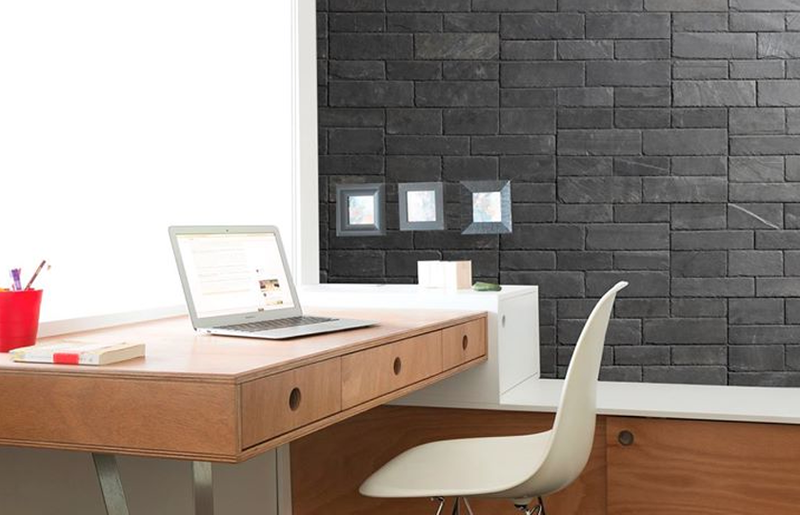 Another possibility is use natural slate for your interior wall decoration of a private study or office. Nowadays, you can find a lot of innovative products on the market that allow you to install natural stone in an easy and quick way. Durable, non-porous, resistant towards temperatures, natural stone is easy to maintain and can last for decades without losing its look. You can use STONETACK™, the first auto-adhesive natural slate panel designed for decorating interior walls, a 100% DIY product. An interior wall clad in natural stone will act as a focal point. It will give a rustic vibe to the design of your home. This sedimentary rock is formed in warm, shallow marine waters. Limestone often contains fossil fragments or bands of color. Used extensively for interior decoration, you can use it in your bedroom. A limestone flooring has a soft texture so you won’t feel like you’re stepping on cold stone. 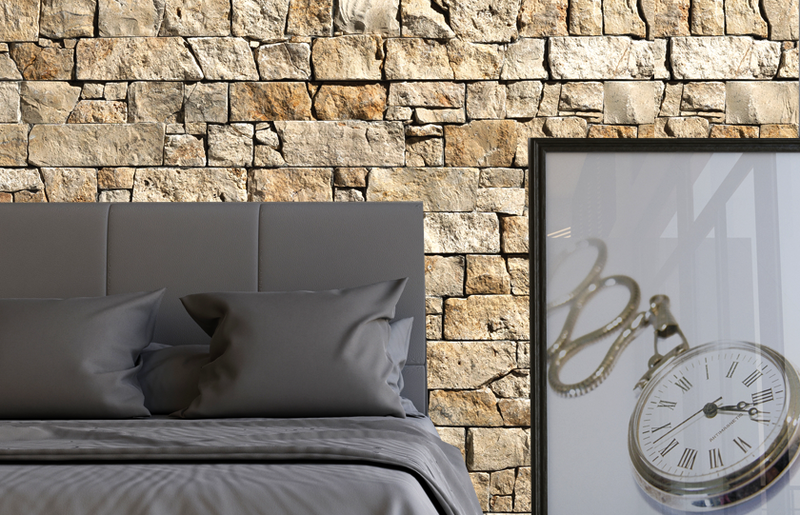 You might also consider installing limestone on one or more walls for an elegant and stylish look. We hope these ideas will give you a good start on adding elegance and style to your interior design spaces. If you need some more inspiration, please check CUPA STONE website.